Can the E.U. stop armed groups profiting from the mineral trade? Conflict Minerals are the new Blood Diamonds. The term refers mainly to three metals, tantalum, tungsten and tin, originating in Eastern Congo. Advocacy groups like the ENOUGH Project have pushed hard to put the contribution that the mining and export of these metals make to the war chest of Congolese rebel groups on the international agenda and have had some success. As part of the Dodd-Frank Wall Street reform act, the U.S. has put in place regulation that forces U.S. listed companies to disclose if they are using any of these metals from Congo or its neighbouring countries in their products and if yes, what they are doing to keep them “conflict free”. The Dodd-Frank act doesn’t force companies to actually do something, if they find out that money from the mineral trade in their value chain benefits armed groups. It just provides the disclosure that advocacy groups like ENOUGH need to put public pressure on these companies. Dodd-Frank has been quite successful in a sense: Out of fear of bad publicity, most Western companies simply switched to other sources for the metals, sending the economy of Eastern Congo into a crash. As many experts have cautioned before the law was enacted, violence didn’t subside – the armed groups just switched to other modes of financing themselves. European Trade Commissioner Karel De Gucht said last month that he wants to be sure any EU policy builds on the U.S. mandate and encourages broader action. However, in recent days, EU trade officials have also begun considering a less stringent proposal that would apply only to European-owned metal processors, a lobbyist close to the discussions said. That proposal would exempt most of Germany’s manufacturing companies, which largely import their minerals from non-European processors. The problem: European smelting companies process only a small part of the world’s tantalum, tungsten and tin. The market is dominated by smelters in China and Malaysia, who wouldn’t necessarily fall under the proposed E.U. regulation. This would render the law ineffective, because metals from conflict regions would just be processed in smelters without reporting obligations and could then be imported to the E.U. as finished products without a declaration of origin. To be effective, the E.U. regulation would need to cover at least one stage of the value chain above the smelting level. As a result of the steps being taken, militias have seen their prices for the minerals drop by more than 55 percent, reports Sasha Lezhnev, Enough’s senior policy analyst. But even with reduced income from mineral sources, the last year has seen an incredibly high level of violence in the DRC, with the rebel group M23 even taking control of the regional capital Goma for a few weeks. The reason is simple: conflict is born out of political confrontation, not greed, and the Congo offers many more means to finance an armed struggle than minerals. Considering this, Dodd-Frank and the proposed E.U. legislation should be sold as conflict reducing mechanisms, but measures to increase general transparency along mineral supply chains, which would be a perfectly valid reason to enact these kind of laws. This post is part of my ongoing obsession with the relation between natural resources and conflict on the African continent. Read on to find further insights on this topic and be sure to check back regularly! I will update this article frequently with long and short posts in the manner of a slow live blog. Commonly, oil companies are associated with less than benign influence on conflicts. This reputation is well earned: oil money financed a whole chain of Nigerian military rulers, kept the Sudanese regime afloat during the worst massacres in Darfur and continues to play a dubious role in filling the coffers of authoritarian regimes, like in Angola and Equatorial Guinea. But this interpretation overlooks the potential — and in some cases actual — positive impact that oil companies can have on political and violent conflicts. Arguably, the Chinese government is one of the lynchpins of keeping the peace between Sudan and South Sudan. The interest of China is clear: keep the oil flowing. But the net effect on this particular aspect of the region’s many overlapping conflicts has been positive. 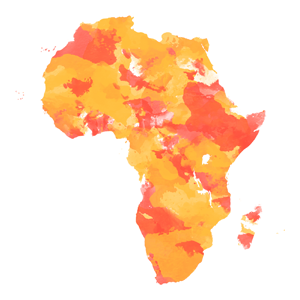 A recent article on the blog African Arguments is another example of the positive influence oil companies can have on active conflicts. Written by a consultancy, it reports on an ongoing diplomatic push to finally resolve the dispute over Western Sahara — spearheaded by French energy giant Total. There is even talk of Kosmos lobbying the US administration and Total the French government to support a major new diplomatic initiative. Oil exploration permits have been issued by both Morocco’s state Office National des Hydrocarbures et des Mines (Onhym) and Polisario’s government-in-exile, the Saharan Arab Democratic Republic (SADR), but the international consensus is that no significant exploration can be undertaken until the dispute is settled. This follows a legal opinion by the UN General Counsel that stated that exploration and extraction of mineral resources in Western Sahara would be illegal “only if conducted in disregard of the needs and interests of the people of that territory”. It has generally been viewed that exploration for reserves of oil and gas would run counter to this; thus they should stay in the ground pending a definitive resolution. What do you think, do commercial interests of oil companies offer the chance to positively influence conflicts in Western Sahara and elsewhere in Africa? Clashes between armed groups and government forces killed at least 60 people on Saturday and Sunday in the town of Bossangoa in western Central African Republic. You might find yourself thinking “that’s a country?” and I can’t blame you for that. The Central African Republic — or the CAR for short — is not a well known tourist destination. It’s not a “rising economy” or something equally catchy from a politician’s Sunday speech. It is just a state in (you guessed it) central Africa going through a decades-long national crisis and not even a fashionable one, like in neighboring Democratic Republic of the Congo, where ex-Secretary of State Clinton likes to drop in for a photoshoot. Nobody cares about the CAR, which is why you probably don’t know anything about the country or the conflict. A war rages in northeastern Nigeria. Three months into a government-declared state of emergency, an army division of 8,000 men and a joint task force of other military and civilian security forces are trying to wrest control of large swathes of land from a fundamentalist insurgent group known as Boko Haram. Did You Know There’s a Major Intervention Going On in the Democratic Republic of Congo? All eyes are on the politicking around the possible U.S. intervention in Syria, but the future of humanitarian interventions is actually being forged right now, in the vicinity of the town of Goma in the eastern Democratic Republic of Congo. Goma is a regional hub, a sprawling city of over one million inhabitants mostly living in tin shacks and walking the notoriously bad roads. It’s a center of mineral trading — both legal and smuggled — and hosts tens of thousands of refugees in camps on its outskirts. Goma lies directly on the border to Rwanda, a neighbor with a lot of influence and a long agenda in Congo. Since the outbreak of the First Congo War in 1996, and in the subsequent Second Congo War and the general state of insecurity since, Goma has changed hands between the Congolese state, Rwandan forces and rebel groups many times. At the moment, its airport and barracks are home to a contingent of the largest peacekeeping mission ever, the United Nations Organisation Stabilization Mission in the Democratic Republic of the Congo, MONUSCO. The eastern Congo is about to enter a new cycle of violence. The rebels of the new organisation “M23” only control a limited area so far, but reportedly get stronger by the day. M23 is the result of the mutiny of several army units around Easter. These units were part of a former rebel group, the CNDP, which was officially disbanded and integrated into the army in 2009. Read more on the DR Congo, Mali, Nigeria and Côte d’Ivoire over at War is Boring! Since April, when two Tuareg rebel groups drove government forces out of northern Mali, the situation in the sparsely populated region has steadily worsened. The lightning advance of the National Movement for the Liberation of the Azawad (MNLA), which seeks independence for the Tuareg homeland, and Ansar Dine, which has an Islamist agenda, triggered a coup of disgruntled junior officers against President Amadou Toumai Touré, with the resulting political instability in Bamako leaving the army incapacitated and the rebels the effective rulers of roughly half the country’s territory. Read the rest at the World Politics Review! It would be comfortable to file these protests as another part of the Arab Spring: Mauritania is on the southern reaches of the Saharan Arab belt, and large-scale protests here started with the self-immolation and subsequent death of YacoubOuld Dahoud, an action mirroring the suicide of Mohamed Bouazizi, which set off the revolt in Tunisia. As in other Arab countries that experienced large-scale protests, Mauritania is governed by an autocratic regime whose leader,Mohamed Ould Abdel Aziz, originally came to power through a coup d’état. Read the rest on Waging Nonviolence! Fighters of the MNLA in Mali. Photo via Maghrebia on Flickr. A large-scale mutiny-come-rebellion rocks the eastern part of the Democratic Replublic of Congo since Easter. Never the most peaceful of places, the situation in the Kivu provinces bordering Rwanda escalated, when army general Bosco “The Terminator” Ntaganda decided to defect from his position. Read more on the current situation in the DR Congo, Mali, Mauritania and Guinea-Bissau here. At the beginning of April, after a loose coalition of Tuareg rebel groups forced the Malian army to abandon Timbuktu, one of the armed factions involved in the fighting didn’t lose much time in announcing its ultimate objective: “We, the people of Azawad declare irrevocably the independence of the state of Azawad,”read the communiqué issued by the National Liberation Movement of Azawad — known by its French acronym, MNLA — five days after the ancient city fell. The bold declaration is of course mostly wishful thinking. No state or international organization has recognized the independence of Azawad, as the Tuareg refer to the border-spanning region they inhabit, and it is unlikely that this will change in the near future. The situation in northern Mali remains chaotic, with various armed groups, criminal networks and terrorist organizations competing for influence, while the Malian government and army still reel from the effects of a coup d’état that shook the capital of Bamako in March. But the Tuareg bid for independence does not come from out of thin air, nor does it come at a normal time for the countries of the Sahel region and North Africa. Tuareg minorities in Mali and Niger have fought for self-determination for more than 100 years. And following the fall of Moammar Gadhafi in Libya last year, regional political dynamics are evolving rapidly, which may yet prove to be either a boon or bane for those Tuareg rebels interested in independence. World Politics Review is a subscription journal. It’s well worth your money, but you can read the rest of this article for free, if you follow this link. I took part in The Stream yesterday, an interactive show on Al Jazeera English. Originally I was asked to take part in the live discussion via a Goolge+ hangout, but this did not work due to a crappy internet connection on my side. So instead some of my tweeted comments about the show were shown and discussed. The show was great and very interesting. There were some excellent participants, among them Andy Morgan, so if you didn’t see it yet be sure to watch it!